If the extension is for your own personal use, then these details are not that important, but if you are planning on distributing your extension to other people, then you should fill in all the fields and also think about adding a Help file (any format, but we recommend pdf or rtf or some other easily viewable format). .dll - This a dynamic-link library extension and is only compatible with the Windows target. .dylib - This is the Mac equivalent of a dll and is only compatible with Mac target (not iOS). The final section is labelled Copies To. Here you can see a list of target platforms which you can tick (or un-tick) as appropriate for your extension. In this way, you can have (for example) two hi-score extensions, one *.dll and one *.js that have the same functionality but work for different target platforms. You would, for example, tick ONLY the Windows check-box for the *.dll but for a *.js extension you could tick Tizen (JS) and HTML5. 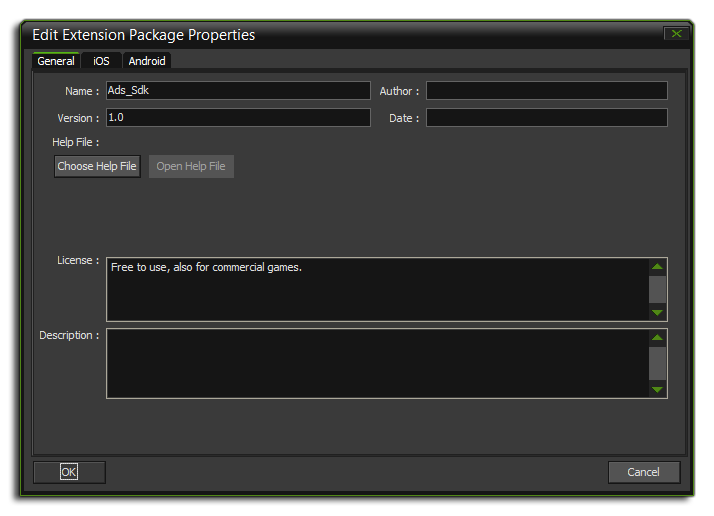 In this way GameMaker will know to use only the appropriate file for the target platform. You can also set up different configurations and tick/un-tick options as necessary depending on the current configuration chosen. Name - This is the GML name of the function (only letters from A-Z, numbers and the under-bar "" symbol are permitted, and the name must not start with a number). For defining a constant, it is simply a case of giving it a name (only letters from A-Z, numbers and the under-bar "" symbol are permitted, and the name must not start with a number) and a value and then clicking on the "Okay" button. Once you have defined all your constants and functions, the extension is ready to be used and distributed as a .gmez or a *.gex. NOTE: You should always choose the *.gmez format rather than *.gex as the gex format is only to help with backwards comparability issues and may be obsoleted sometime in the future. To create a *.gmez (or *.gex) all you have to do is right-click on the extension name and select Export, which will open a save dialogue where you can say where to save the final file to. 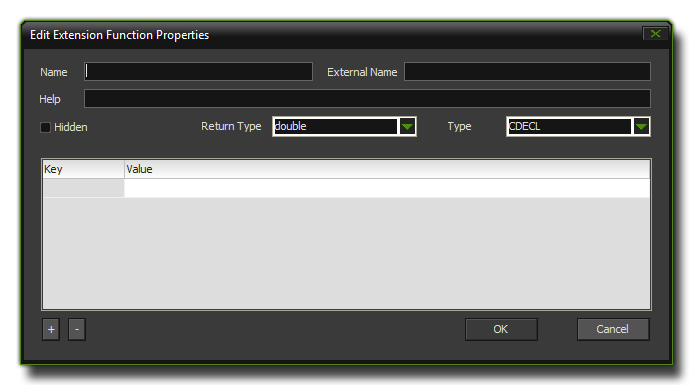 Once this is done you can then use the same gmez/gex in other projects by importing it into the resource tree (right-click the extensions folder then select "Import Extension"), or distribute it for others to use.